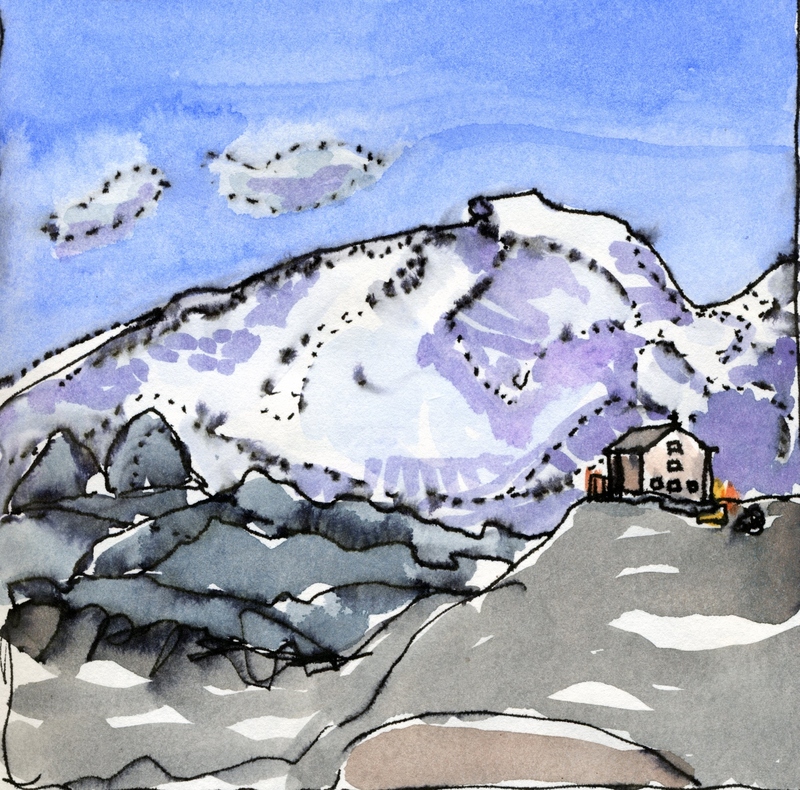 These paintings were made in my sketchbook while staying in the dolomites and walking and via ferrata climbing. Later in the studio, I get the chance to use them to make larger paintings. 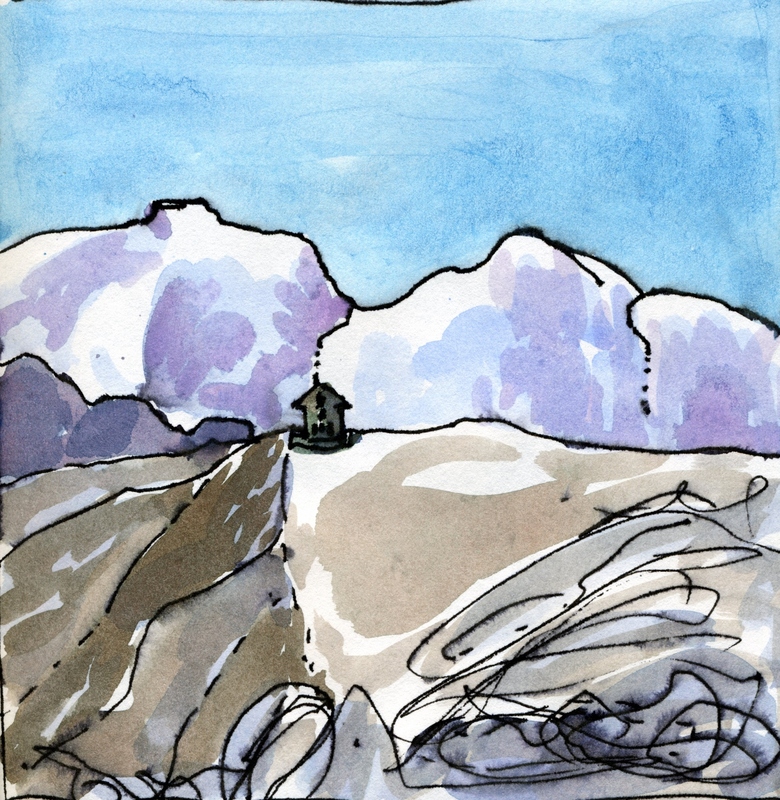 This entry was posted in ITALY, MOUNTAINEERING, PAINTING, THE ALPS and tagged alps, alta badia, art, CLIMBING, diary, Dolomites, italy, journal, landscape, Marmolada, mountain, painting, travel, tyrol, watercolour. Bookmark the permalink. More kind and forgiving in appearance than the photos. How long do you stop for when making these sketches during a climb? 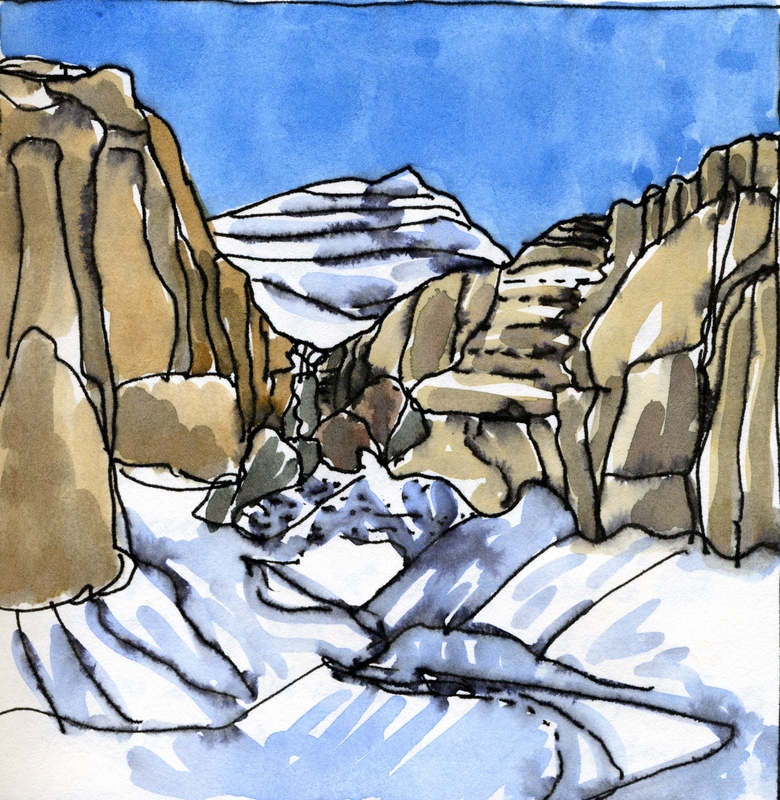 Hello – I might not stop very long in very steep and difficult terrain, but in meadows and by rocks and safer places, I will make sketches, for maybe an hour before moving on, and then work on them that evening over a glass of wine! some of the paintings are also made from memories, some from photos and a combination of all these.